Thursday night Nicole and I met with some friends for some dinner. We usually pick the places to go so this time we had them pick. They chose “Sonoma Grille” on Main St. out in Snyder, NY outside of the city. I’ll be honest, I’m a snob when it comes to food. I really wasn’t looking forward to eating here at all. From their completely awful website that makes it look like their target crowd is 80+ years old, to mediocre reviews on Urbanspoon, there was nothing that really appealed to me about this place. We were seated and minutes after, our friends had arrived. My friend Pat clearly had no idea what type of place it was as he strolled in wearing his green army coat, scruffy face, “Maui” t-shirt, and fedora. It was amusing and he clearly realized that he selected the wrong outfit. The restaurant staff was a little…bizarre. Pat and I both made reference to the fact that our server reminded us of someone from the “Adams family.” It bordered on uncomfortable at times, but at least he was attentive and our water glasses were never empty. 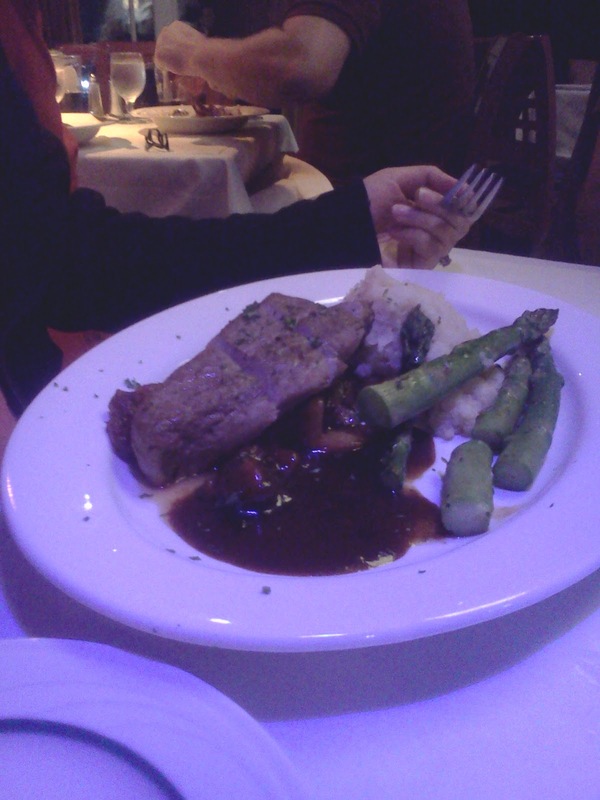 The menu was pretty ordinary with a few “different” items that saved it from being completely drab. Nicole and I decided to just order two smaller things and share. 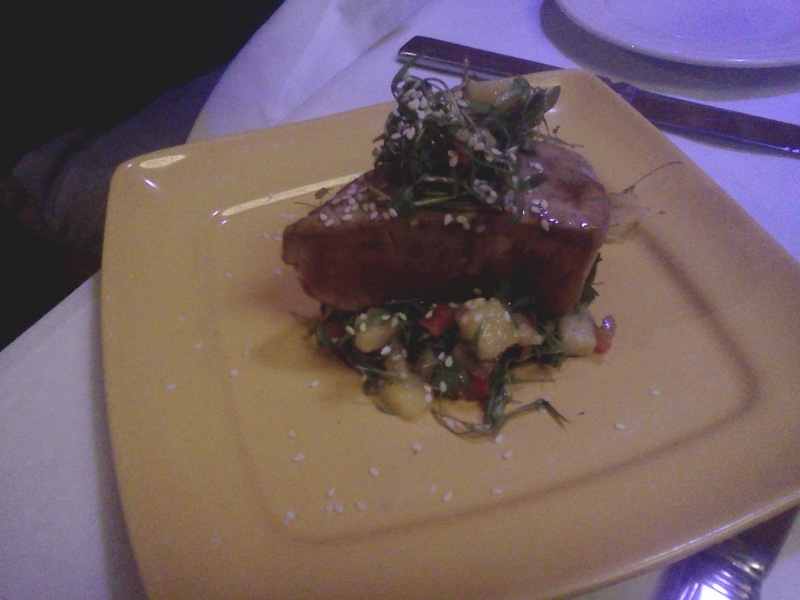 We started off with the “Ahi Tuna Salad” which was a piece of tuna seared rare over micro greens with mango and avocado salsa, with a spicy soy dressing. After everything I said about this place so far, this almost completely made it worth it. This dish was almost top notch. The fish was delicious, cooked to perfection on the outside, rare as can be on the inside, and accompanied with the greens and fruit, this made for a refreshing experience. We both loved this and I was impressed. 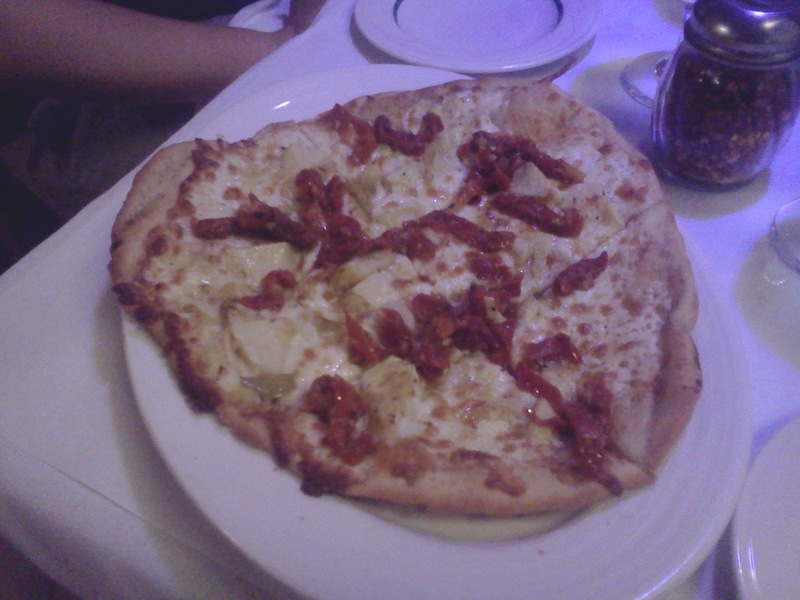 Our second small dish arrived and it was just a simple Grilled White Pizza with roasted garlic, artichokes and sun dried tomato. It was a simple dish that did was it was supposed to do. It wasn’t mind blowing and it wasn’t mediocre, it was exactly what it said it was. 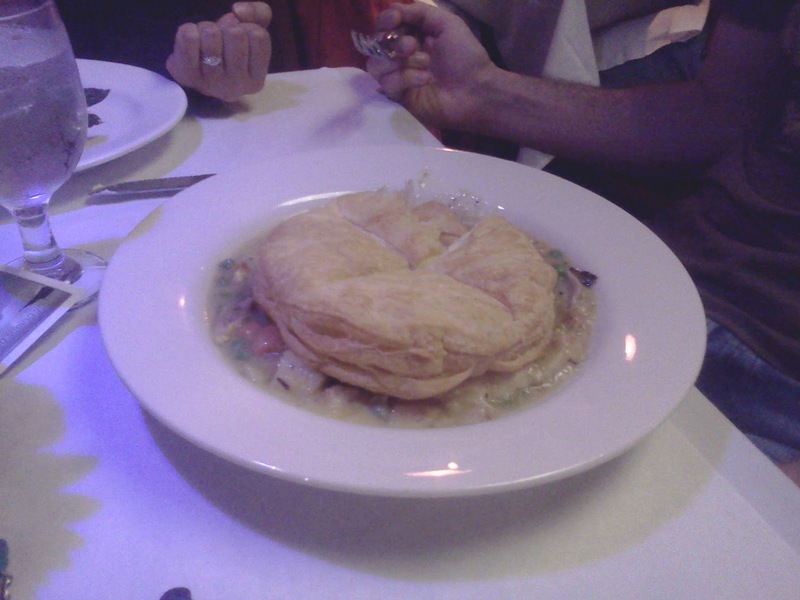 Patrick ordered a chicken pot pie, which looked like a giant round hot pocket. He said that he liked it. His wife, Molly, ordered a pork dish. I’m pretty sure it was a pork tenderloin. She said that it was good also, but I wasn’t impressed by its appearance. The meal ended with our friends getting a Pumpkin Spice Creme Brulee which Molly loved and Pat barely touched. Nicole ordered just a coffee and me, a light Sambuca. So I admit, I was harsh in my opinions of this place in the beginning. In reality, we will probably never eat there again, not because of the food, but mainly because it’s nowhere near where we live really and we are spoiled by the high quality, inventive restaurants located in our neighborhood. The atmosphere is not for me and its definitely not a place to bring a date unless she is 75. 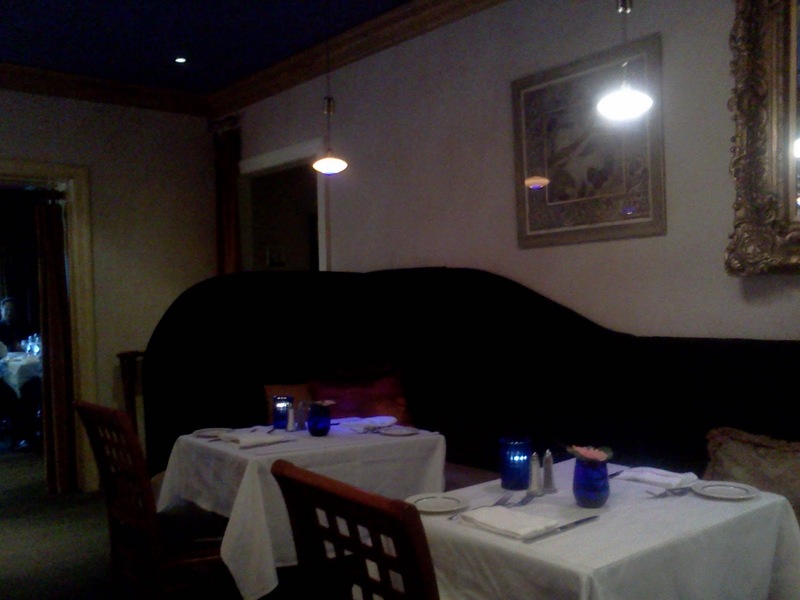 Seeing past all of these elements, the food was decent which made it a pleasant experience.